The delivery of major improvements to the North-South transit corridor is a high priority for the South Australian Government. Currently one of the most significant traffic bottlenecks occurs at Darlington, where three major intersections slow traffic. 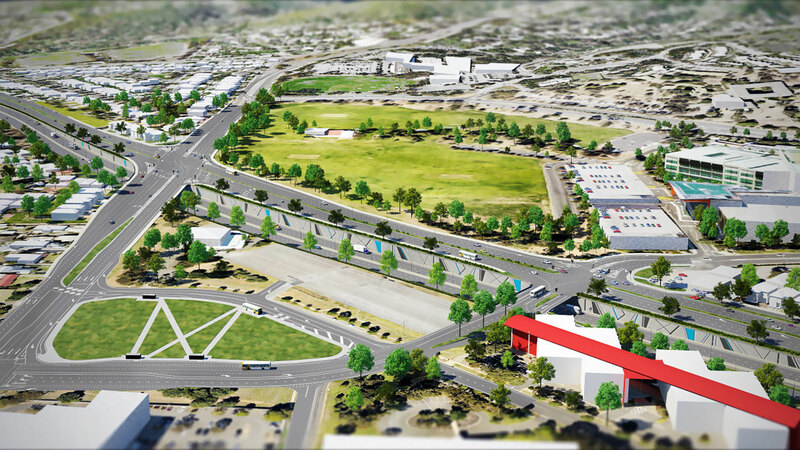 Tract was employed to provide landscape architecture input and 3D visualisation services during the planning phase of this $500m transport infrastructure project. 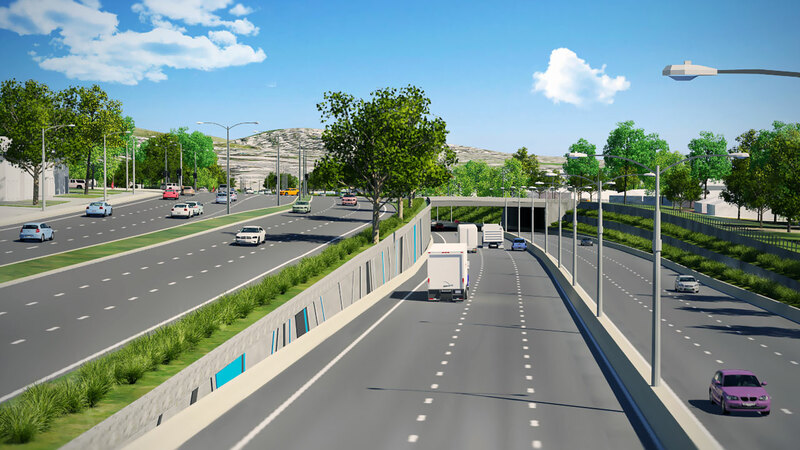 As part of Tract’s role, the Media department produced a short animation of the proposed concept, providing context for the upgrade works and detailed visualisation of the refined design concept. In order to meet extremely tight project timeframes, the developing concept was visualised parallel to the design process and updated as design elements were refined. This approach allowed Tract to hand over a complete visualisation package at the moment the design concept was finalised.